You guys know me...I am always looking to save a buck or two by using things around the house for my projects rather that purchasing something new. After giving a small dresser a face lift (see end of this post) I decided the drawer liners could do with some updating as well. Instead of purchasing new drawer liners, fancy paper, etc, I looked to my massive storage of tissue paper instead. 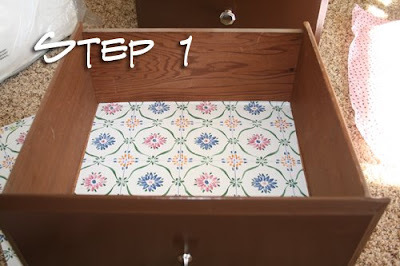 Remove dated drawer liner and use as your template when cutting out tissue paper pieces. 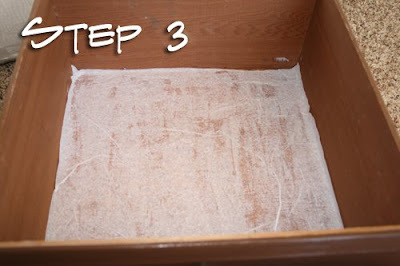 Cover bottom of the drawer with a LIGHT coat of Mod Podge. Remember, you are applying tissue paper...it doesn't take much to stick that stuff down. If your tissue paper is a light color, I recommend putting down a layer of white tissue paper first. Smooth out bubble from the center to the edges. 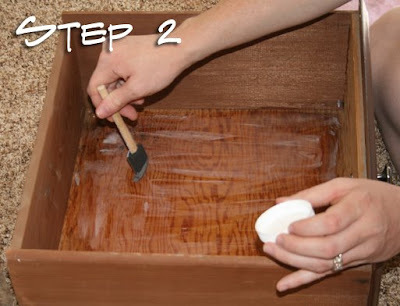 Apply another LIGHT coat of Mod Podge to your white layer and then apply the tissue paper you would like on top. Again, be patient and smooth out the bubbles from the center to the edges. Voila! A free update to the inside of my drawers. Voila! Another perfect accessory for my "almost here" baby girl's room! It looks great Anna Rose. I didn't know that you had gotten Grandma's Bambi I am so glad that you did I have always loved it. I love this. I can't believe that you got Grandma's Bambi. You totally raided her house, didn't you. Not fair, I don't have anything of hers. Polycan Ind. 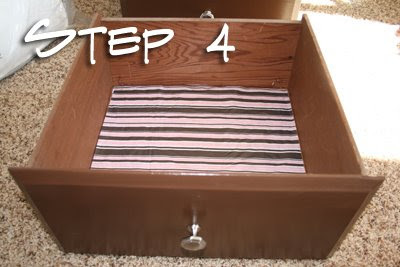 offer EVA Drawer Liner from India.